She was in tears. Standing on the steps looking down at me. Lucy was asleep on my lap. Nothing hurts my heart more than when Em needs me and Lucy is asleep in my lap. She sits down next to me and tries to pull it together. “I like blue. It is my favorite color because blue is the color of my eyes and the ocean and I was born at the beach…” and off she went. 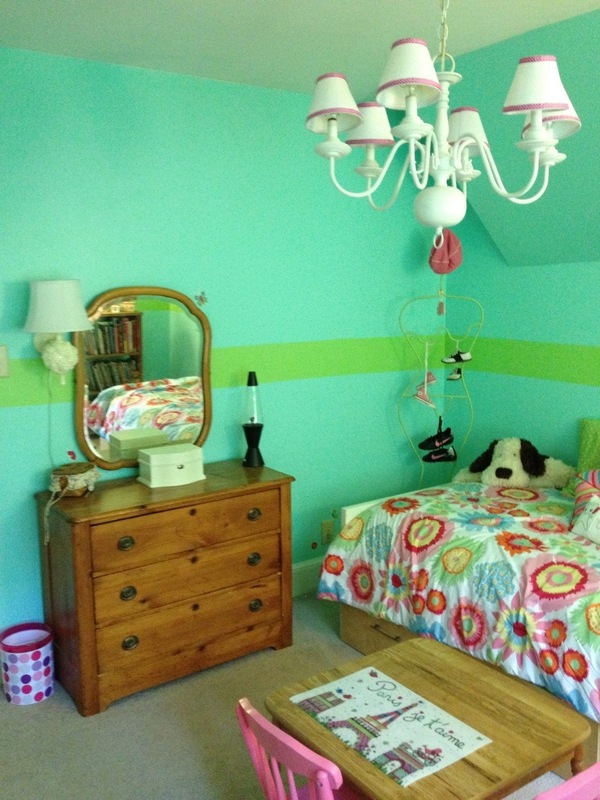 I let her think she had to really work hard to convince me that we were not going to be painting her room hot pink. In the end she was thrilled with her room. She spent a long time getting things organized. This morning when I saw this in her jewelry box it made me smile. 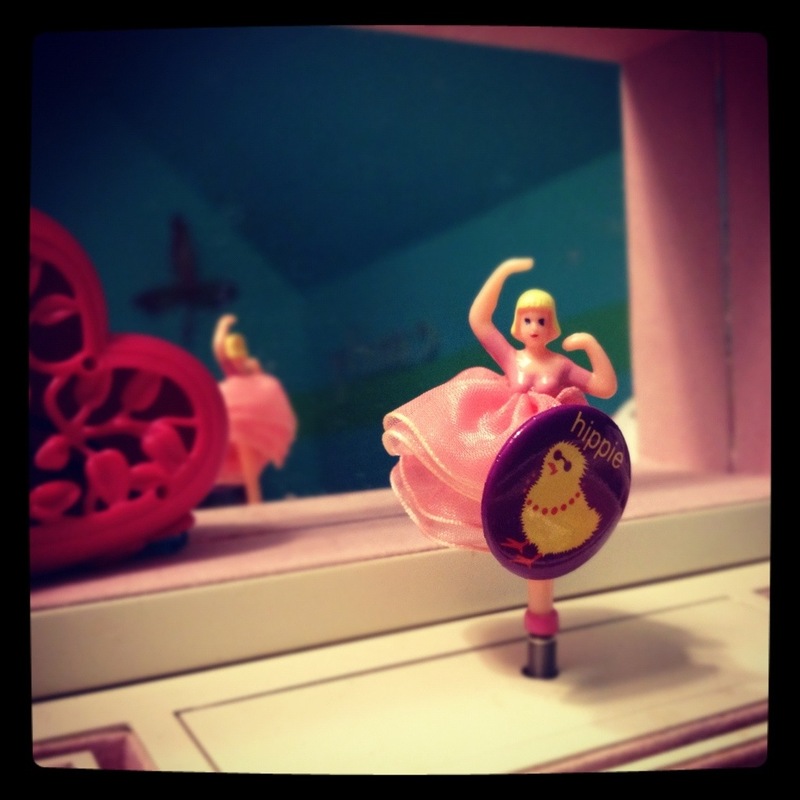 If you can be a tomboy and a girlie girl surely you can be a hippie chick and a ballerina, right? 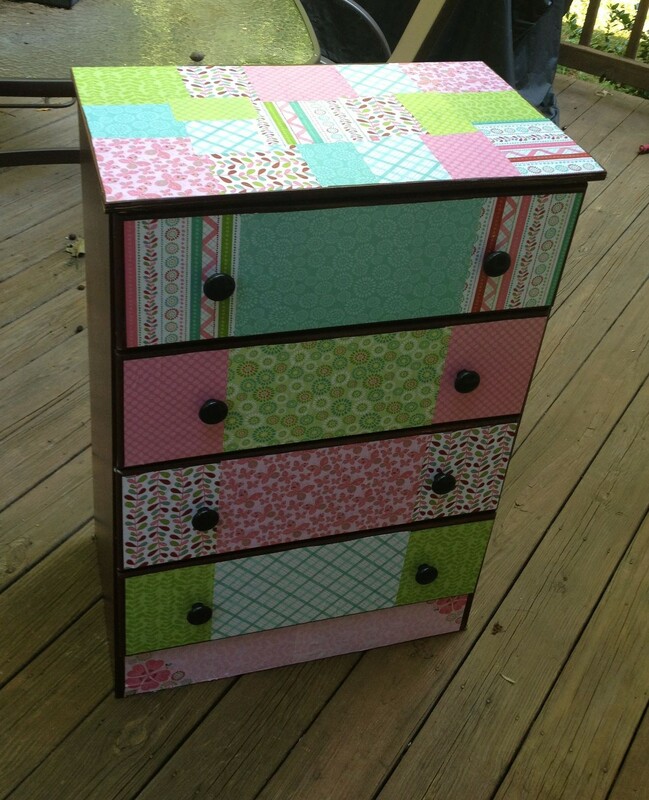 This entry was posted in Family, Nonsense, Parenting and tagged bedroom, DIY, Emily, Family, Life, room makeover. Bookmark the permalink. Sweet girl. A room decor sets the stage for so much at that age, you just have to get it right. Glad she liked it! You’re a good mama for listening! Ugh! You are so with her in her emotions <3 I really love that. So many parents laugh off the deep feelings of their kids as silly but you see them as the real deal. And they are. I just really love that about you. Your girls are so lucky to have you.